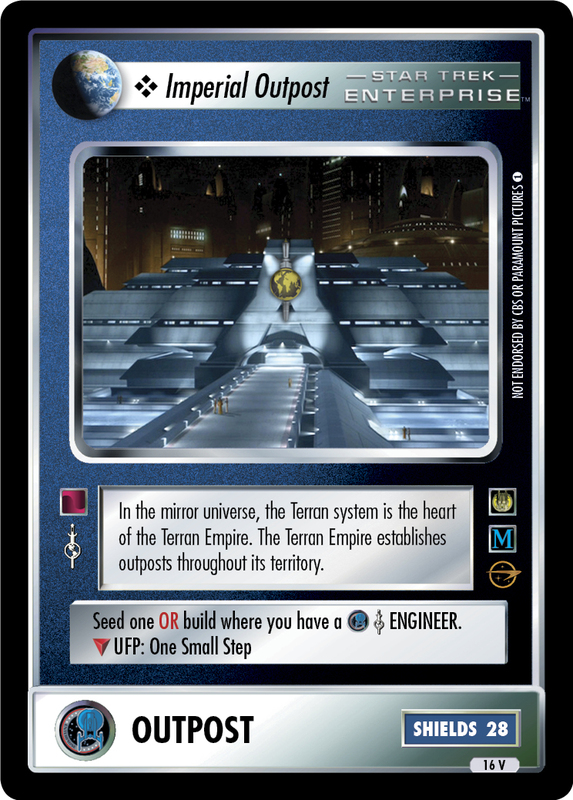 In the mirror universe, the Terran system is the heart of the Terran Empire. The Terran Empire establishes outposts throughout its territory. Seed one OR build where you have a ENGINEER. Characteristics: Outpost, affilition, 22nd Century , Terran . Card logging info: First edited by Telak at Nov 26th, 2016. Please support openCards and validate game text of this card!